I took this shot at an opportune moment during the setup for the 2008 It’s Better in Mentor Parade this last weekend. I should have video from within the parade up soon. 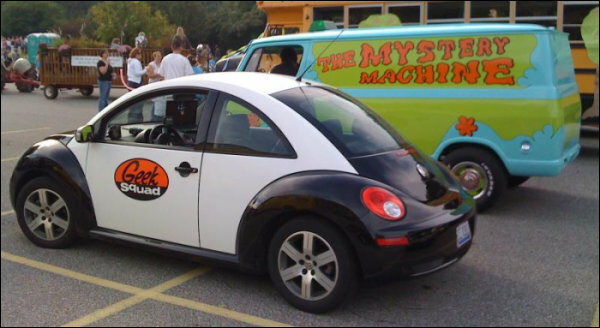 Author DerekPosted on September 27, 2008 September 27, 2008 Categories General, Humor, ImagesTags 2008, Geek Squad, Geekmobile, Mentor, Mystery Machine, ParadeLeave a comment on You Meddling Kids!